Workflow is both powerful and frustrating. Image credit : Timothy Reavis, with edits by me. The biggest struggle for me has been answering the question, “What can I use this for?” The common answer to this is, “All kinds of great things!” But look at my question again and note the emphasis on the personal pronoun I. “What can I use this for?” I’m still not sure how this tool can automate the day-to-day things that I grapple with. I don’t need directions to the next event, because it’s either in my office building, or it’s a personal event that I already know how to find. Uber has been in my home city for about a year and a half now, which I certainly appreciate, but I’ve never used it since I tend to walk or cycle everywhere. Now, all of the above sound like nitpicks about how particular workflows don’t fit into my life. And they are. But one of the big problems I have is that as I browse through pretty much the entire gallery, it’s unclear how almost any of the workflows could be useful to me. I should note that I’m a huge advocate of automation; I’ve written over half a dozen blog posts about the value in scripting away your annoyances. Thus, I’m glad the authors of the above workflows made them, shared them, and use them. I’m sure they love Workflow. The other big problem I have with Workflow is that it’s too hard to see everything I can do with it. 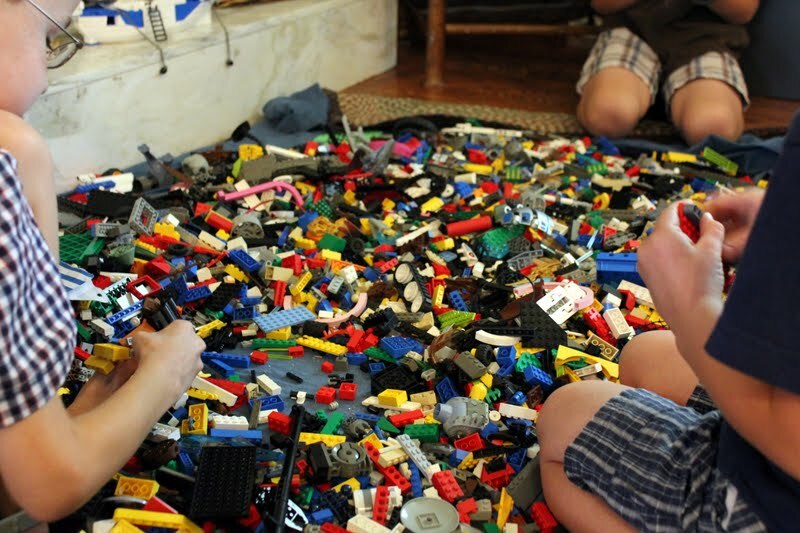 I feel like I want to take my big, jumbled box of Legos, dump them all on the floor, spread them out, then stand up and look at all the different pieces I have to play with. As far as I know, there’s no equivalent to exhaustive API documents that I can browse. Sometimes you just need to see what all you have to play with. Image credit : Emily (full name unknown). It starts at the “Suggested” list, and you need to tap the “Actions” button to see the full list. But I always forget this and get confused because I don’t see actions I expect to be there. Once I tap the “Actions” button, I’m still not looking at the full list. I need to scroll all the way down, then tap “All” to get to the full list. When I can finally see the full list, there are tons of actions (which is great), but I’m working on my small phone screen. By the time I get to the bottom of browsing the list, I’ve forgotten most of the interesting things I saw higher up. Why, oh why, can’t I have a full list that’s browsable in a real web browser? There’s a pretty nice section of Reddit for Workflow, and Google searches often take me to the site, but the posts there are about specific needs, not higher-level reviews of what you can do. Still, it can be a useful reference site, and I appreciate that it is there. I have a couple of other annoyances as well. 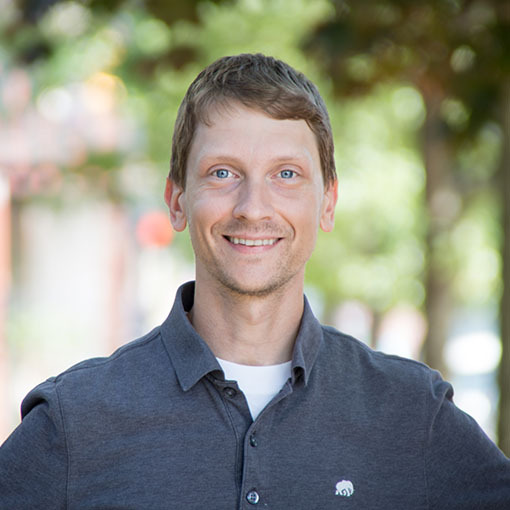 I acknowledge that the frustrations above are personal to me, but Workflow is a tool for personal automation. I think my frustration boils down to being able to see the power of Workflow, but not being able to figure out how to make it work for me yet. I can see all kinds of cool workflows for other people. I know that there are likely many things I could automate in my life, but I’m the fish that doesn’t see the water around me. It’s like I need a fairy to observe me for a day and make recommendations. Then I could consult the big list of actions and generate some sweet workflows. But as described above, browsing the big list is easier said than done. And I obviously don’t have a magical fairy. 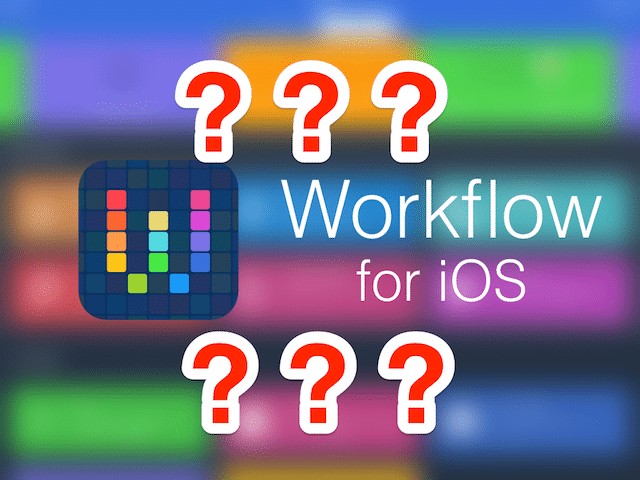 So far, this post has been down on Workflow, and I feel justified in that I’m genuinely frustrated, I’m authoring this on December 24th, and I’m feeling Scrooge-like. But I remain optimistic about Workflow. Why? Because my gut is telling me that this tool is like a snowball rolling down a snowy mountaintop. It starts out small and slow, but over time, grows and grows and grows. I can see the power and flexibility of Workflow, but I simply need more time with it. 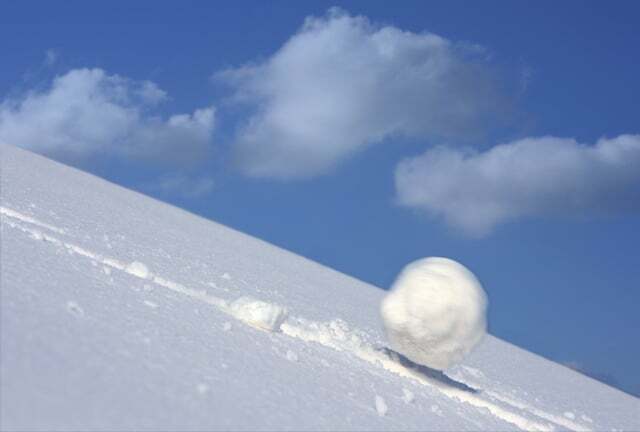 I believe my Workflow usage will be like a snowball rolling downhill. Image credit : Scott Harkness. I’ve experienced the same thing with other power tools like TextExpander†††† and OS X automation. Over time, I’ll get more used to it and start identifying more things I can automate. I’ll get more inspiration from things I see in the gallery and on Reddit. I’m also optimistic that some of my above concerns will be addressed as future improvements are made. Mac Power Users podcast for convincing me to give Workflow a try. Federico Viticci at MacStories for inspiration and information about how to use Workflow. The Workflow gallery (built into the app) for inspiration. The Workflow Reddit site for help and inspiration. † Ok. I lied. I do edit some photos–to rotate, crop, resize, and have Preview automatically update colors on whiteboard photos. †† Laundry timer & the ability to suppress hiccups are the equivalent of my X-Men superpowers. I’m quite fortunate to have them! ††† I don’t really have a problem with trial-and-error debugging. In fact, I practice it all the time with test-driven development. But in the case of test-driven development, I can run the tests super-fast, whereas running workflows over and over is slow and frustrating. †††† In fact, I’ve created about half a dozen TextExpander snippets while writing this post to help me with HTML. I don’t think I would have done that six months ago, but I’m much more comfortable with the tool now. Understand everything you’re saying, and completely get your point. Really enjoyed reading this article, glad I stumbled upon. Re the bespoke workflow opportunities, etc … Have you analysed ya daily routines? The wow factor for me stems from location based stuff, inc NFC – alas I fear it’s too pieInTheSky, as WHAT can be done in the gardens of iOS is restricted… I wondered how workflow could facilitate audiobus … workflow, but I read that “open in” style actions, for example, are a no no. Hi Matt, i was very glad to read this post. However, i’m experiencing Workflow and it becomes better and better for me every day.